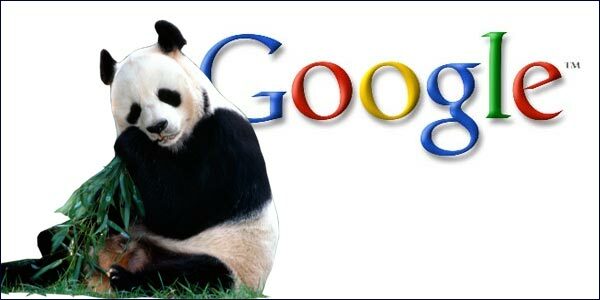 Google’s Panda Update – Just When You Thought It Couldn’t Get Any Worse. Posted on 21st June 2011 at 09:11. Were you one of those business websites unfairly and unjustly penalised by Google’s algorithm changes when it released its Panda update earlier this year? Did you see your website rankings plummet when your website was incorrectly lumped in with the spammers and the content farms? Perhaps you’re actually playing for the other side and do actually ‘borrow’ content from others, and feel very lucky to have escaped the cull. Well, the latest pronouncements from Matt Cutts will either have you thinking that Christmas has come early, or see you breaking out in a nervous sweat. Panda 2.2 is here, and it’s ready to roll, so don’t say you haven’t been warned. To add just a little background information for those who might not be quite up to speed. The Panda update was introduced to rid the internet of content farms – that is, those websites that reproduced content that had been researched and written by others. They then claimed the credit for themselves. The algorithm changes were meant to get rid of both low-quality sites and also those that didn’t have anything useful to bring to the party. To some extent this worked: 12% of websites were affected. Unfortunately quite a large proportion of that 12% were genuine websites who were mistakenly tarred with the same brush. In response Google issued a statement in its blog in April this year, giving advice both about the update and the type of changes it was looking for in terms of quality content. These have already been covered in a previous article in May. This re-jigging of the algorithm was supposed to redress the balance, but unfortunately only around 2% of websites incorrectly labelled saw their rankings increase, though even then they never approached the levels they were at prior to the initial changes. Speaking at the SMX Advanced Marketing Conference in a joint Q & A session with Danny Sullivan, SMX producer, Cutts stated that Panda 2.2 has been approved and is now ready to roll. The new update will be targeted at those websites that re-publish content, but have so far managed to escape the consequences. Websites have found that those who steal other people’s content are actually fairing better in the search engine rankings than the publishers of the original content, as Google isn’t sophisticated enough to be able to differentiate between the two: it was in fact often the ‘good’ guys who were unfairly penalised. Cutts stated that this issue has been addressed and should be dealt with by the new update. Cutts also revealed that the Panda update isn’t run on a regular basis, which will probably come as something of a surprise to many. Google manually runs the update from time to time, so if you were one of those businesses who re-wrote the copy for your website following Google’s April blog, you could well find that even after Panda 2.2 is up and running, you won’t see an immediate recovery in your search engine rankings. We’ll not know for certain how these new changes will affect search engine rankings for some time yet. What will be interesting is how Google gets its message across so that we all understand exactly what it’s trying to achieve. Many websites still don’t understand why they were affected when they shouldn’t have been: others haven’t yet discovered whether the changes they’ve made following the April update have been effective. Until 2.2 hits the web, all we can do is guess and speculate. What we’re all agreed on though, is that Google will need to improve the clarity and effectiveness of its communication skills, if another fiasco is to be avoided. Do We Really Need Landing Pages Anymore?Will A Page 1 Search Engine Listing Guarantee Increased Sales?